The heliostat field of solar power tower plants can suppose up to 50% of investment costs and 40% of energy loss. Unfortunately, obtaining an optimal field requires facing a complex non-convex, continuous, large-scale, and constrained optimization problem. Although pattern-based layouts and iterative deployment are popular heuristics to simplify the problem, they limit flexibility and might be suboptimal. This work describes a new genetic algorithm for continuous and pattern-free heliostat field optimization. 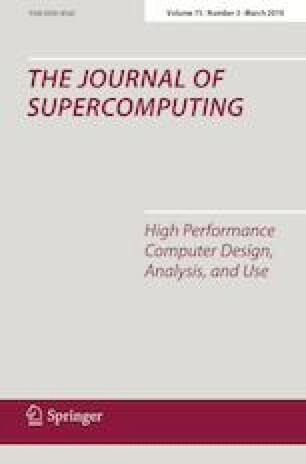 Considering the potential computational cost of the objective function and the necessity of broad explorations, it has been adapted to run in parallel on shared-memory environments. It relies on elitism, uniform crossover, static penalization of infeasibility, and tournament selection. Interesting experimental results show an optimization speedup up to 15\(\times \) with 16 threads. It could approximately reduce a one year runtime, at complete optimization, to a month only. The optimizer has also been made available as a generic C++ library. This work has been funded by Grants from the Spanish Ministry of Economy, Industry and Competitiveness (TIN2015-66680-C2-1-R and ENERPRO DPI 2014-56364-C2-1-R), Junta de Andalucía (P12-TIC301). N. C. Cruz (FPU14/01728) is supported by an FPU Fellowship from the Spanish Ministry of Education. J. L. Redondo (RYC-2013-14174) and J. D. Álvarez (RYC-2013-14107) are fellows of the Spanish ‘Ramón y Cajal’ contract program, co-financed by the European Social Fund. The authors also wish to thank Juan José Moreno Riado for his technical support. A C++ library with the proposed optimizer and the description of a new heuristic to generate sets of initial solutions can be found at http://www.hpca.ual.es/~ncalvo/jos17app/appendix.html.